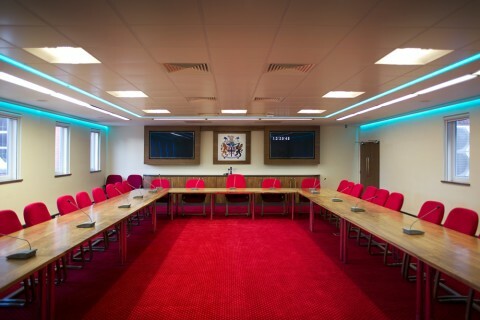 With this project we were asked to change the woodwork colour of the meeting room chairs from light oak to walnut to match a newly installed board room table, and to re-upholster the chairs in a fabric to compliment the carpet. 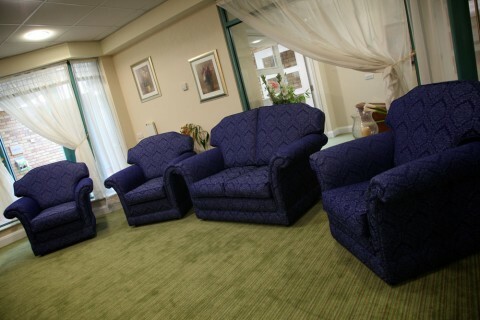 As you can see from the pictures this was achieved with stunning results. 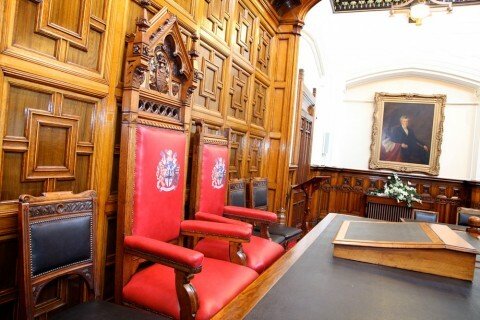 A recent commission undertaken for St. Helens Council was the renovation of council chambers. This work involved re-upholstering and re-polishing of the Mayors’ chairs and of council members’ chairs.